GUNS & GANGS: On Wednesday, July 16, 2014, Cook County State's Attorney, Anita Alvarez, met with members of her Hispanic Advisory Council. The meeting was held in a Conference Room in the George W. Dunne Building, 69 W. Washington Ave., downtown Chicago. State's Attorney Alvarez opened the meeting with welcoming remarks followed by a report on a case involving Human Trafficking; an initiative funded by a federal grant. ALVAREZ reported that her office prosecuted 10 defendants involved in human trafficking. “All 10 pleaded guilty because the evidence against them was strong,” she said. Wiretap, surveillance and audiotapes were used to make the case against the defendants. The offenders could not believe their criminal activities were being watched. All defendants were all charged with the Class X felony of Aggravated Traficking in Persons. Trafficking a total of 16 victims, including 11 children and five young adults. STATE’S ATTORNEY ALVAREZ introduced Rafael Malpica as the new Chairman of State's Attorney Hispanic Advisory Council. Chairman Malpica also welcomed the members of the Council. “The goal of the Council is to represent our community and to collaborate between communities,” said Malpica. GUEST SPEAKER was Deputy Supervisor, Brian Holmes, Gang Crimes Unit and Project Safe Neighborhoods, a division of the Cook County State's Attorney office. He spoke on the issue of “Guns & Gangs” and said there is a lot of discussion in Springfield on what to do about our current gun laws. “More young people are being charged with guns; and more people are killed by guns in Chicago in a weekend than in Iraqi or Afghanistan,” said Holmes. Holmes said some young people, between 17-20 years of age, are not hardening criminals. “They get into a car and get into trouble,” he said. DEPUTY SUPERVISOR HOLMES receives a report every week, with over 100 sheets, on gun crimes committed in Cook County. “I check every one,” he said “Guns are coming into [Chicago] from Indiana, Wisconsin, Mississippi, Alabama, mostly southern states. A gun crime is a 2 to 10 years in jail. Holmes said a serious gun offense is the unlawful use of a gun by a gang member, a Class X Felony, a 6 to 30 year jail sentence under the Valadez Law, a non-probational sentence. Homes reported that most gun crimes are committed in Police Districts 4, 7, 9, 10, 11 and 15. Little Village is in Police District 10. VALADEZ LAW: In 2010, the Valadez Law was enacted in memory of Officer Alejandro Valadez. The law mandates that any gang member found to be in the unlawful possession of a firearm must serve a prison sentence. Police Officer Alejandro “Alex” Valadez, 27, was a 3-year veteran of the Chicago Police Department, District 7. After midnight on June 1, 2009, Valadez and his partner, Officer Thomas Vargas, responded to gunshots at the 6000 block of South Hermitage Ave. Alex was shot twice. He died at Stronger Hospital. Charged with the shooting were Kevin Walker, 25, the driver of a car and Shawn Gaston, 24 and Christopher Harris, 24. Gaston was sentenced to 125 years in prison, Walker to 120 years and Harris to 105 years in prison. IN CONCLUSION: State's Attorney Alvarez said a young person told her an amazing thing. He said, “We got to put “neighbor” back into neighborhood to make our block safer. “Today, gun owners must report if their gun is stolen or lost. It is the law, you report your bike or car if it's stolen,” said Alvarez. COOK COUNTY State's Attorney Hispanic Advisory Council members are Ed Arroyo, Freddy Calixto, Salvador A. Cicero, Neusa Gaytan, Michael J. Hernandez, Jose Isais, Rafael Malpica, Francisco Menchaca, Nora Moreno Cargie, Martha O'Bryan, Maria-Teresa Roman, Victoria Romero, August Sallas, Lupe Sanchez, John B. Valencia, Blanca Vargas, Tito Vargas. CHRISTINE CHAN, Deputy Director, Community Outreach & Special Events, announced that she is accepting nominations until August 8, 2014 of a Hispanic Attorney serving in the Hispanic Community to be honored at the State's Attorney's 22nd Annual El Humanitario Award Ceremony. For details on how to submit your nomination, call Christine Chan at 312/603-8724. Chan also announced the upcoming 6th Annual Unity in the Community Conference to be held on Wednesday, Sept. 10, 2014, from 8:30 a.m. to 1:00 p.m. at the UIC Forum, 725 W. Roosevelt Road, Chicago. Public invited. SATURDAY, JULY 26--- Free Haircuts & Manicure from 10 a.m. to 3 p.m. at Little Village Community Council, 3610 W. 26th St. No appointment necessary. 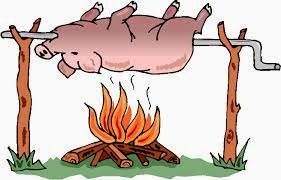 SUNDAY, JUL7 27--- Chicagoland Toys for Tots Picnic and Pig Roast from 10 a.m. until dusk, at White Eagle Woods, Grove 2, 7317 40th St., Lyons, IL. All ages are welcome. B.Y.O.B. Food: Pork, hamburgers, hot dogs, ice cream, grilled corn. Meals start at $3. Games: for children of every age. Car & Bike Show: Free entry and admission. Kids pick the winners. Live Entertainment: Ground Control, Superfly Redneck. Featuring “They Found Us” and “Whiskey Road”. Bean Bags: Bring a teammate or find one here. $10 per person. Dunk Tank. Douse one of your favorite board members. For more information call George Lester Fortier Jr. 708/308-4661 or Sharon D. Allen – 773/517-5896. Come and join the fun! SUNDAY, JULY 27--- Mariachi Tapatio musical event at the Manuel Perez Memorial Plaza, 26th St. & Kolin Ave. from 4 p.m. To 6 p.m. Sponsored by the SSA #25 Commission. Open to the public. SUNDAY, AUGUST 3—Trio Los Primos musical event at the Manuel Perez Memorial Plaza, 26th St. & Kolin Ave. from 4 p.m. To 6 p.m. Sponsored by the SSA #25 Commission. Open to the public. 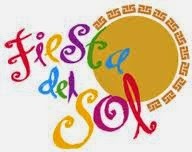 THRSDAY, JULY 31--42h Annual “Fiesta de Sol”, the largest Latino festival in the Midwest, 1400 W. Cermak Road [Pilsen] starting at 5 p.m. to 10 p.m. FRIDAY, AUGUST 1—11 a.m. to 11:00 p.m., SATURDAY, AUGUST 2—11 a.m. to 11 p.m. SUNDAY, AUGUST 3—11 a.m. to 10 p.m. FREE ADMISSION. For more information log fiestadesol.org. A JOINT VENTURE: A meeting was held Wednesday, June 25, 2014 in the office of the Consulate General of Mexico, Carlos Martin Jimenez Macias, and with representatives of the Little Village Community Council. The purpose of the meeting was to discuss how the Office of the Mexican Consulate could bring their many services to the Mexican community of Little Village. Little Village is the largest Mexican community in Chicago and in the Midwest. OUTLINED in a letter given to Consul Macias, the Little Village Community Council requested the following:  Passaporte  Matricula Consular  Nacimiento/Doble Nacionalidad  Actos Natariales  Carde de Electro/ Voters Registration card. CONSUL MACIAS, along with his two assistants, were very understanding and open to our requests. The Consulate does have a Mobile Unit but it will only travel to Mexican communities 90 miles away from the Consulate's office. 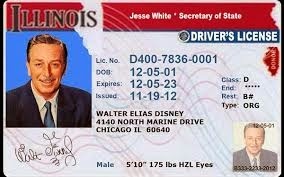 For example, Joliet, Aurora, and Elgin. Since Little Village is in close proximity to the Mexican Consulate's office, which is located at 204 S. Ashland Avenue, our neighborhood does not qualify for the Mobile Unit. HOWEVER, CONSUL Macias said he would check with his superiors, in Mexico, to request authorization to take the Mobile Unit to Little Village. “We would not be able to do all the services you are requesting, but maybe one of them a year,” said Macias. I suggested starting with the Matricula Consular card. The Matricula cost $27. A six-year Mexican passport cost $101. Many residents have been requesting both at the Little Village Community Council office. ANOTHER POSSIBILITY being explored: Macias said his staff would be willing to teach Little Village volunteers to know what documents a person must bring to the Consulate office. This has been a time-consuming issue that Macias’ staff faces daily. If a person does not bring the necessary documents to the Consulate's office for a service he/she would leave the Consulate empty handed, only to make another trip back to the Consulate. Macias would like to see the process streamlined by Little Village volunteers. AN OPEN invitation was given to Consul Macias to come and meet with Little Village residents to discuss their concerns. 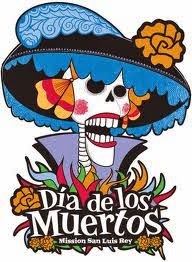 Macias said he would check his calendar. REPRESENTATING the Little Village Community Council was Augustine Sallas, President and Norma Calderon, Secretary. The meeting lasted one hour. HORAS: 8:30 A.M. TO 5 P.M.
Al igual que en efectivo.